I know they're not finished quilts, but I still feel great about the progress! 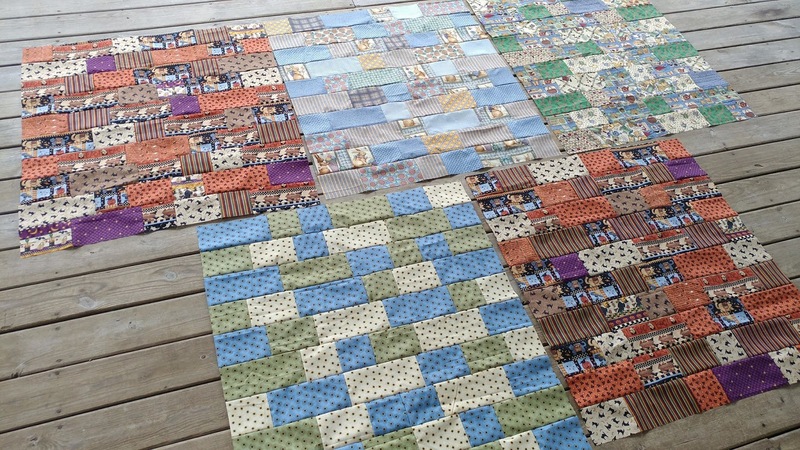 Want to read more about my plan to make 52 charity quilts in 52 weeks? See my original post here. 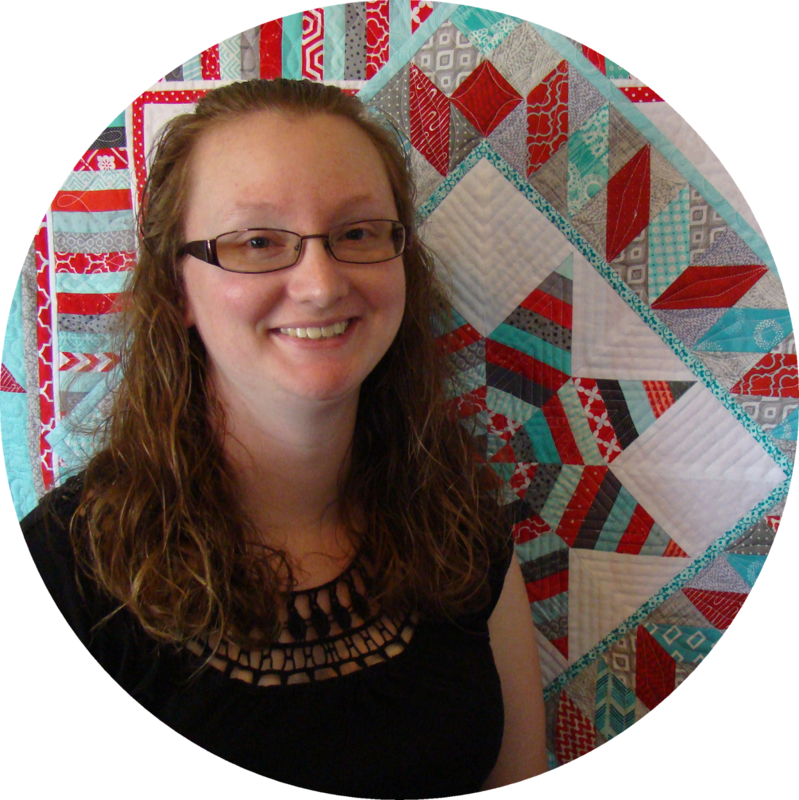 Through this endeavor, I am learning quite a bit about myself and what methods I enjoy most. 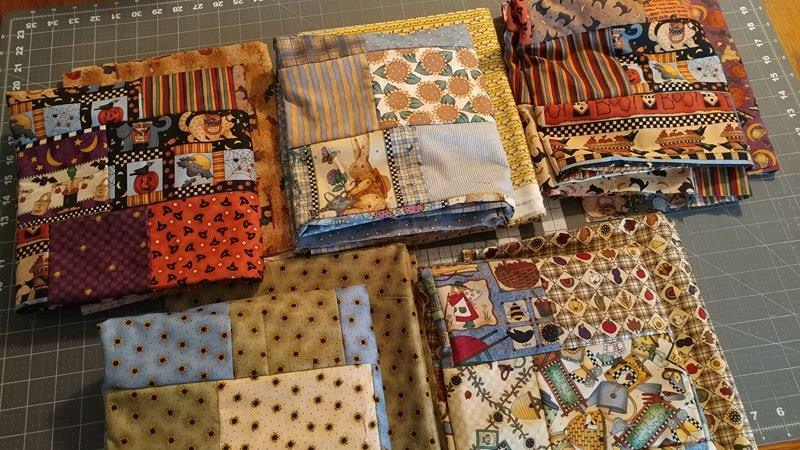 I have decided that I really like to work on big projects in an assembly line manner. 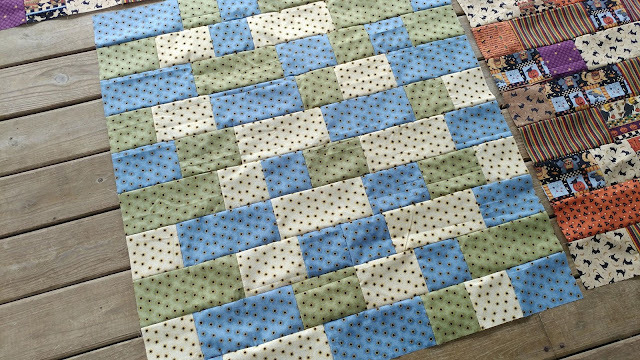 So for this, I like to sew up lots of tops at once, and then baste, then quilt, then bind them all at once. 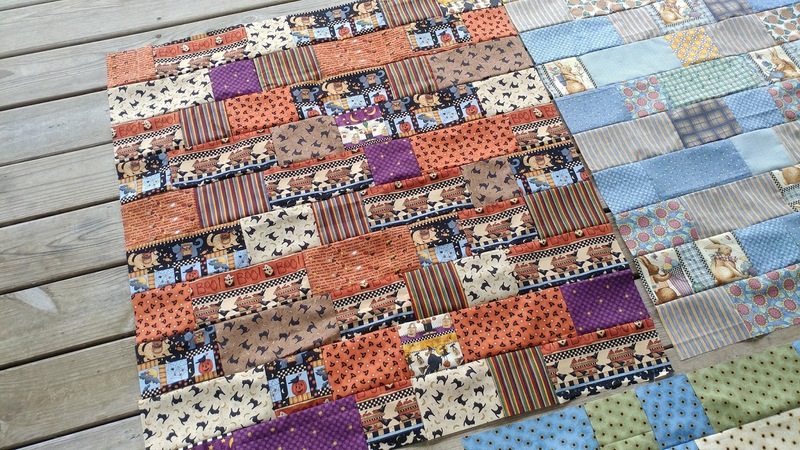 I'm actually considering making all the rest of the quilt tops (that would be 44 more) before doing any quilting. But as usual, I'm sure I'll change my mind! Likely by next month's post! Ha! 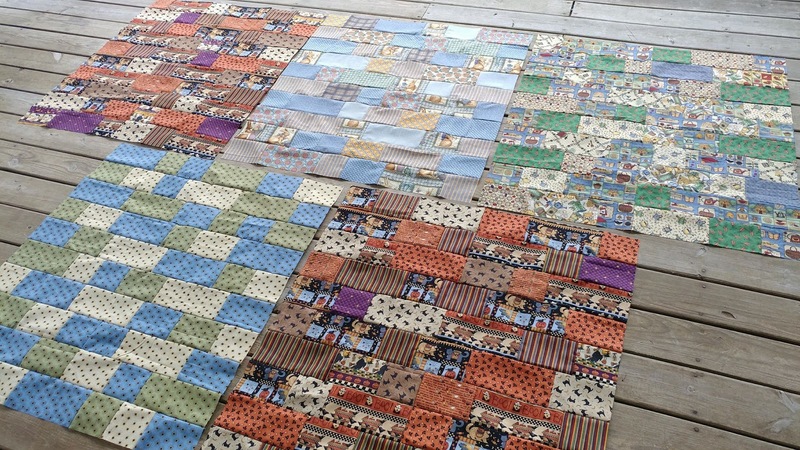 For now, I have three finished charity quilts for the year and five tops. I even have all the backs picked out and matched to the tops so they are ready for the next step. 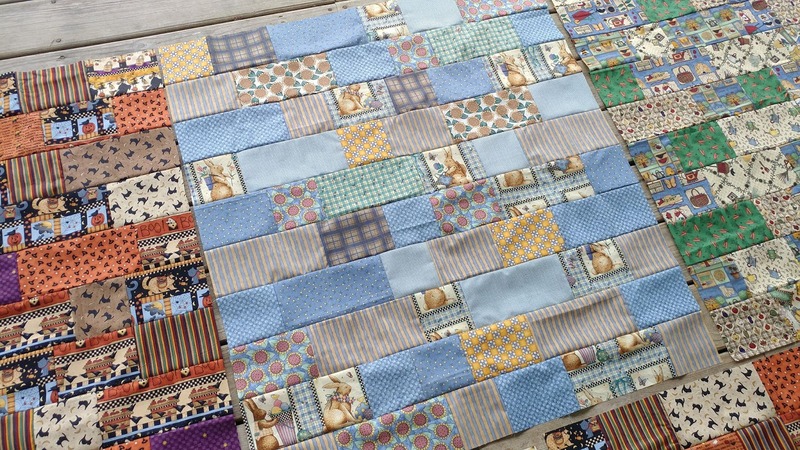 Have you been doing any charity sewing? Link up so we can see! 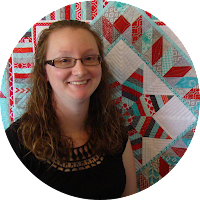 You can link up any charity crafty things at all - crochet, knitting, sewing, etc. 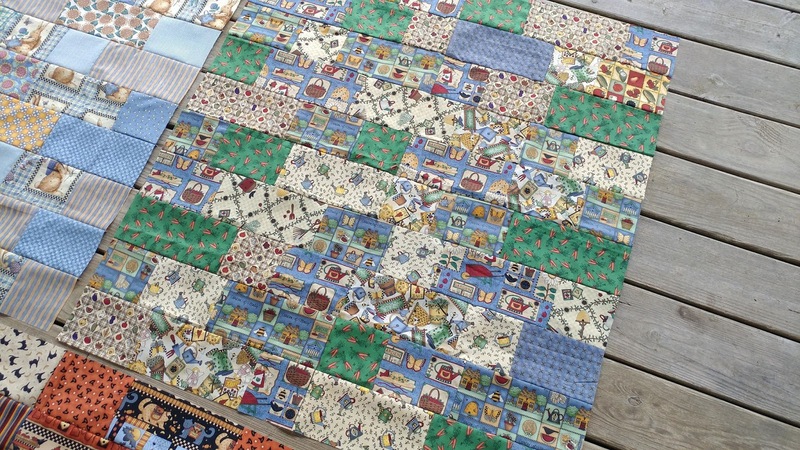 52 quilts is quite the ambitious goal. Congratulations on keeping on track. I thought I was doing good with 6 a year. Time to step up my game. Great work. They are looking wonderful. Great job, Laura! Those blue bunnies are sweet. I'm waiting to see which phase you'll be working on next month. 5 more is awesome. You will figure out what is best when you are ready - all tops, all quilting - or some of each. Its a long year.....although I know that would feel like a lot of quilts to me. 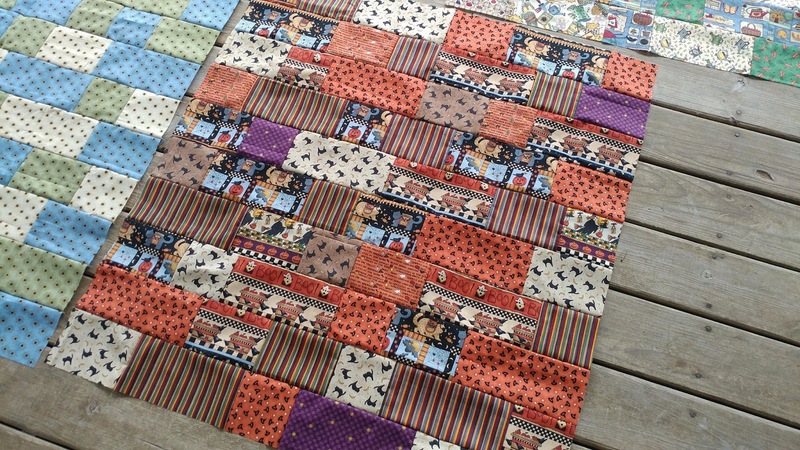 I do charity quilting and in fact, just gave a quilt to our guild’s benefit group. Two others went as sort of unplanned but needed gifts, so that also felt good. You've made a lot of awesome quilt tops here. I'll link up later. I have to write the post first.